As some of you may know, I have two big fitness-goals this year: handstand and splits. 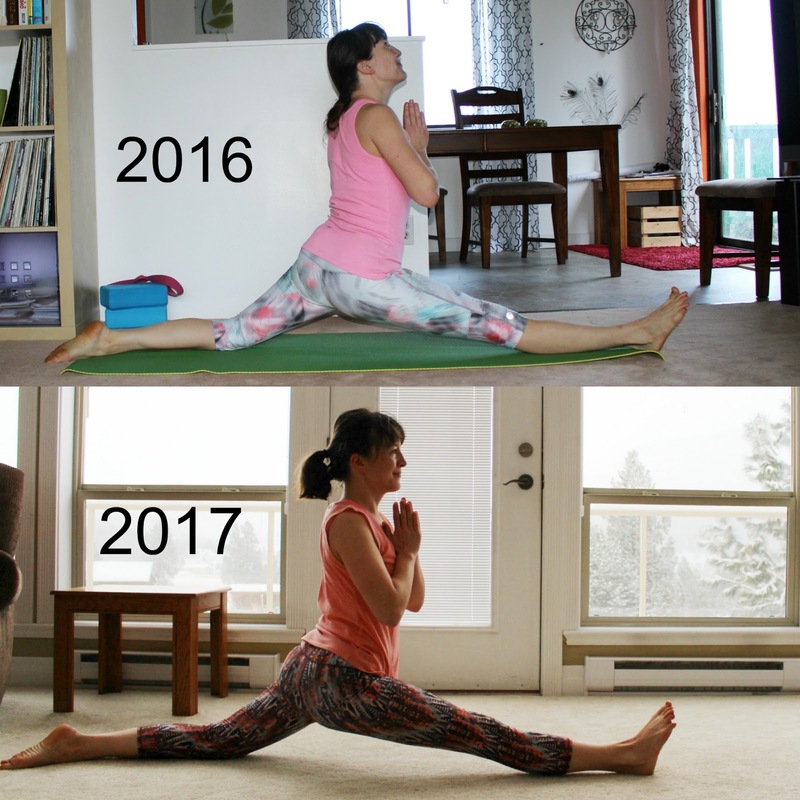 I've been working towards both on and off since 2015, but since I barely did yoga last year I have lots of work to do. A note on that: I don't believe in beating myself up about the past. I could be mad about "putting myself behind" by not practicing last year, but what would be the point of that? It doesn't change anything, except that I'd feel bad about myself. Nope, there's no point at all. We go through different seasons in life, and we won't always be able to do everything we'd like to do, and that's okay. Anyway! My energy and spirit are back, and today I want to share some of the videos I'm doing to increase my flexibility for splits. First up: 9 days to the splits with Katy Scherer. It's 9 half-hour videos to increase hamstring and hip flexibility, and I really like them. 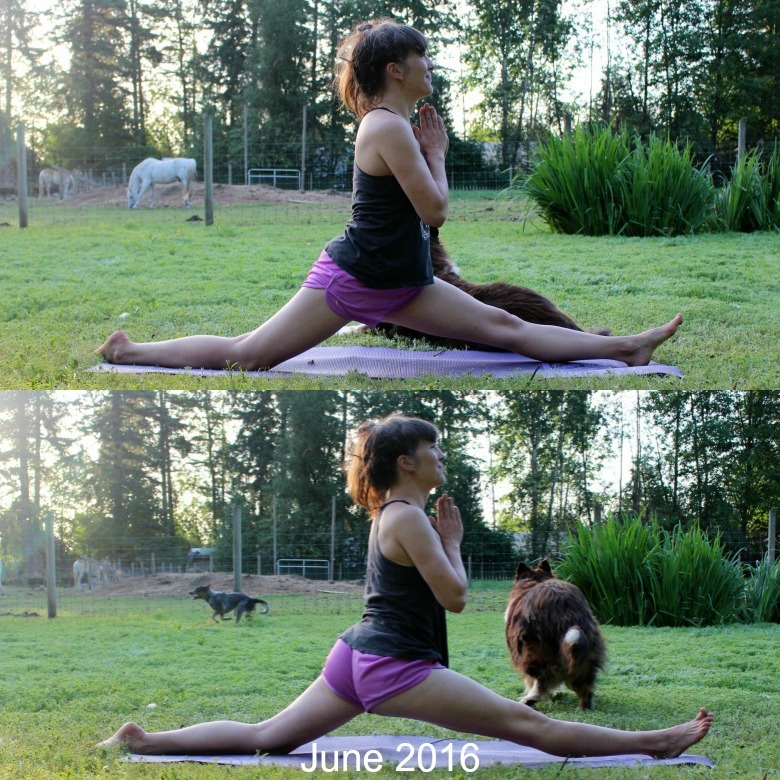 Spoiler alert: you won't be able to master the splits in 9 days, sorry. But you're on your way! Also, you don't have to be a member to access the videos, they're free! I always recommend the website DOYOUYOGA to people looking for yoga inspiration, because it has a lot of useful videos, tips and tricks. Next: this 12-minute video. I don't know if her form is the best (she rounds her back and the hips aren't square in the splits), but I do like the exercises. Just try to keep your back straight! The next video shows you the stretches, but only on one side; make sure you do both! The video is 8 minutes long, but if you do both sides it's approximately a 15-minute workout. This is the year where my crotch will hit the ground, I know it! May your crotch connect to the earth with ease- haha I don't know why that popped into my head. It's poetic and beautiful! It sounds wholesome and magical. Crotch, let's align with the earth! I've never been cheering for another woman's crotch so much in my life. Thank you for leaving such a kind comment! You're wonderful!